Check Out All The STEAM Activities at Weigand! 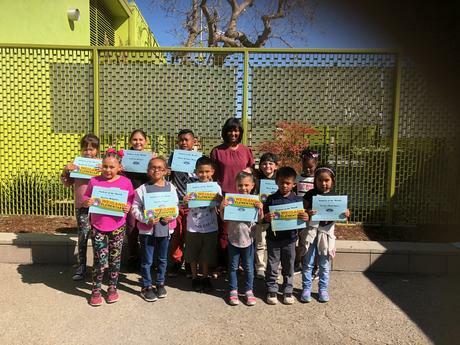 Weigand Students Are College Bound! It's the 2018-2019 School Year! great year together at Weigand! Weigand Elementary is a Local District South STEAM Academy! Weigand's teachers pride themselves in delivering high quality 21st Century teaching and learning. Our innovative staff ensures that all students engage in real-life, rigorous, cross-curricular educational experiences that meet the diverse needs of our students in this digital age. Schools First recognizes Kinder Grade teacher, Steve Moss as Employee of the Month for December. Mr. Moss was awarded a $25 gift card on behalf of Schools First Federal Credit Union. School First recognizes 4th Grade teacher, Lorena Harley as Employee of the Month for January. Ms. Harley was awarded a $25 gift card on behalf of School First Credit Union. The Weigand Team LOVES Learning STEAM! 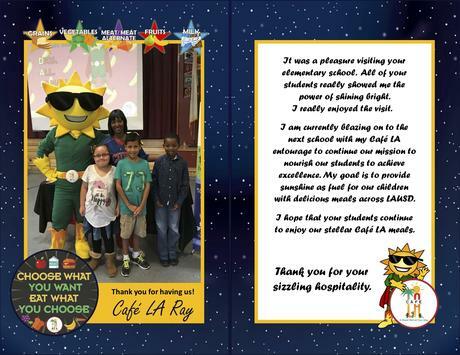 The Dodgers Welcome Weigand Elementary School- Families, Students, and Staff! The Dodgers Welcome Weigand Elementary School! Welcome to the 2018-2019 School Year, Tigers! Solve complex problems with no obvious answer as independent, self-sufficient, learners, thinkers and communicators. It is our firm belief that by providing students a strong foundation in literacy skills, they will be prepared for the 21st Century. Students will succeed academically, take responsibility for their own learning and grown personally while achieving academic excellence. Students will develop a respect for all people in a diverse community and know that empowerment comes from building a strong foundation in the ability to gain information from text and be able to communicate it. The Weigand community firmly believes that it is critical for every student to be prepared for an adult life as a productive, analytical, cooperative member of society. The students of Weigand will be fully prepared to pursue a college education by developing those key cognitive strategies and skills necessary to exceed in college and be career ready. 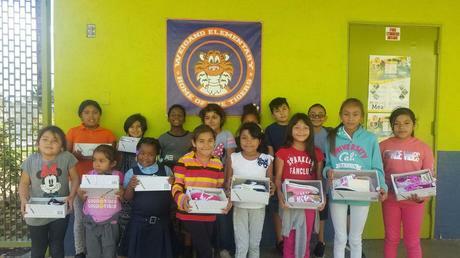 Perfect Attendance winners get shoes that fit thanks to the organization Shoes That Fit. What Do Tigers Do? ROAR! 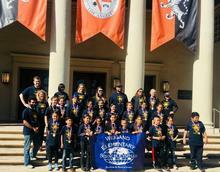 Congratulations Weigand Science Olympiad!! Silver Medal Winners! Stop, Breathe, Choose! Kaiser Education Leads Our Drum Circle! Congratulations to Weigand's LA's Best Football Team!! On Saturday September 9th, Weigand's students of LA's Best Football Team won the LA's Best Tournament!! Congratulations Tigers!!! We're proud of you! Thank you so much to The Rotarians and Access Books for giving 3 books to every single Student at Weigand! Special thanks to Jones Lumber for donating $1,000 to our Science Olympiad Program! 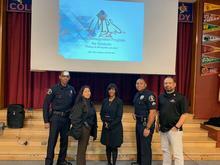 Shout out to Kaiser Permanente Education, for putting on the "Stop, Breathe, Choose" program for our school and donating drums for our drum circle socio-emotional education program! Special thanks to CA'RRUSEL Uniforms for donating $100 to our school! Another special thanks to Robert Patino for donating 20 school shirts! 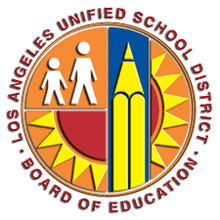 We'd also like to thank the Korean Cultural Center, Heal the Bay, and LA Plaza de Cultural y Artes for donating field trips to our students!